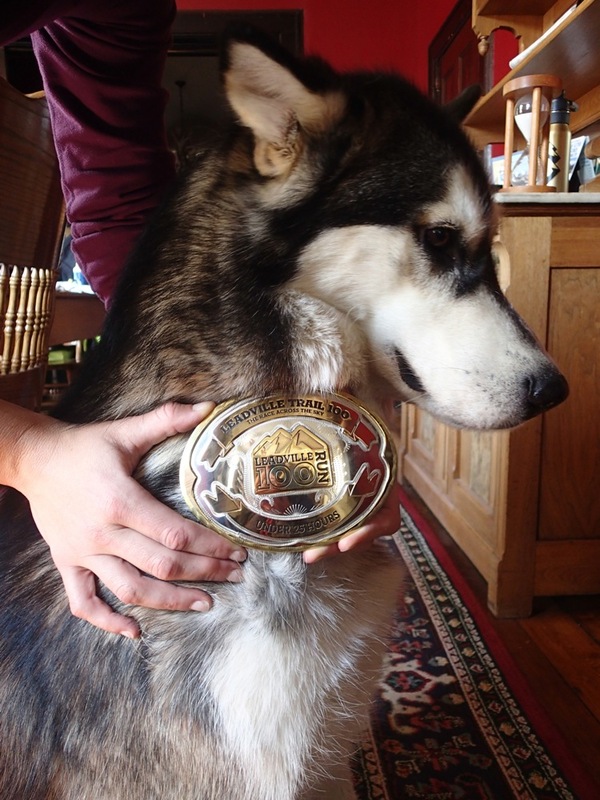 Tona modelling the big buckle. "I don't feel comfortable with this, you guys." A list of my races for my own historical pleasure. If you have any questions about a race, let me know. Moab 240, Oct 13, bib # 1, DNF at 143 mi in 33:54:08 – Longest run! Orcas 100, Feb 19, bib # 1108, 100 mi in 19:19:53 – 1st overall! CR! Race Report. Vancouver Sun Run, Apr 17, bib # 195, 10 km in 00:37:01 – 10k PB! Elk/Beaver Lakes 100 km, May 10, bib # 1108, 100 km in 8:07:20 – 2nd overall. Race report. Fat Dog 120, Aug 15, bib # 189, 120 mi in 28:45:43 – 2nd overall. Race report / Lessons Learned. Leadville 100 Trail Run, Aug 18, bib # 635, 160 km in 22:35:23 – 27th overall! First 100 miler! Race report. UBC’s Run for Rural Medicine, Apr 2, bib # 4626, 10 km in 0:49:09 – Injured calf, so paced the g/f. BMO Vancouver half-marathon, May 1, bib # 10775, 21.1 km in 1:47: 43 – Paced the g/f. Tenderfoot Boogie, May 14, bib # 1252, 80 km in 8:27:40 – 1st place! Also first 50 miler. Race report. Victoria marathon, Oct 9, bib # 923, 42.2 km in 2:56:56 – 42/1631. Sub-3! Race report. Six Foot Track, Mar 13, bib # 322, 45 km in 4:49:24 – 159/860. My first ultra! Vancouver Sun Run, bib # 13173, 10 km in 0:43:11 – 121/1858. My first 10 km! Canberra marathon, Apr 10, bib # 582, 42.2 km in 3:36:14 – 256/788. My first race! First marathon!